The AAMC’s annual Faculty Salary Report highlights mean salaries across departments and specialties, academic ranks, and degrees in all regions of the country. Faculty salaries at medical schools increased an average of 2.7% in the last fiscal year, from $273,400 in FY 2017 to $280,700 in FY 2018, just one of the many findings in the recently published AAMC Faculty Salary Report, FY 2018. In 2016, the mean salary for basic science professors with a PhD or other doctoral degree was $188,300. In 2018, the mean salary was $197,100, an increase of 4.7%. The mean compensation for professors of clinical science — which includes such departments as pathology, OB-GYN, and infectious disease — with an MD or equivalent degree rose 6.5% between 2016 and 2018. In 2016, the mean salary was $362,700, which increased to $386,300 in 2018. The salary for clinical science professors with a PhD or other doctoral degree rose 4.6% from 2016 to 2018. That number was $199,800 in 2016 and grew to $209,000 in 2018. Salaries increased with academic rank of professor — the mean salary for basic science assistant professors with an MD or equivalent degree was $125,200 in 2018. Associate professors earned $156,800 and full professors took home $238,700. The same was true for clinical sciences faculty. The mean salary for clinical science assistant professors in 2018 with an MD or equivalent degree was $290,100. That rose to $341,100 for associate professors, and $386,300 for full professors. In 2018, the mean salary for clinical science professors with an MD or equivalent degree in private schools was 12.7% higher than for those working in public schools: The average salary in private schools was $411,800, compared with $362,800 for public schools. The mean salary for clinical science professors with a PhD or other doctoral degree was 9.2% higher at private schools in 2018 — $220,300 versus $200,900. 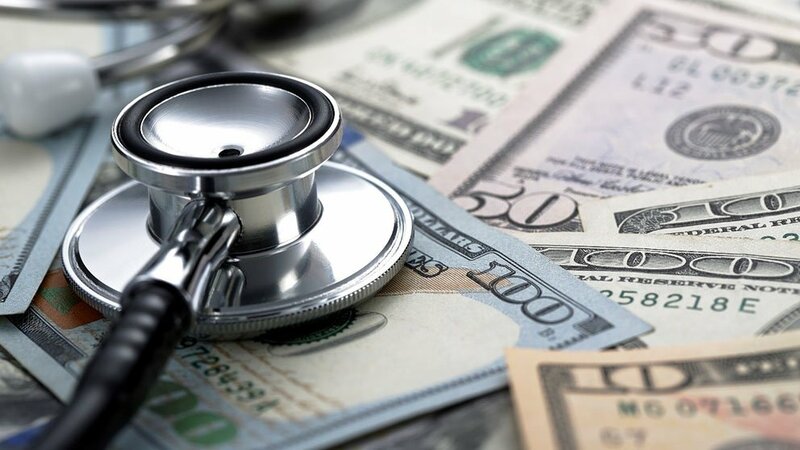 Pediatrics — one of the most popular specialties, according to the AAMC’s 2018 Physician Specialty Data Report — saw a 5.1% increase in total compensation for those with an MD or equivalent degree since 2016. The mean in 2016 was $277,900, and in 2018 that rose to $292,000. Among the top earning specialties for clinical science faculty with an MD or equivalent degree were neurosurgery, thoracic and cardiovascular surgery, and Mohs surgery. Full professors of these specialties earned $754,400, $784,200, and $853,600, respectively. The lowest earning specialties in clinical science with an MD or equivalent degree include family medicine, community health, and preventive medicine. Full professors of these specialties earned $240,600, $247,700, and $252,100, respectively. 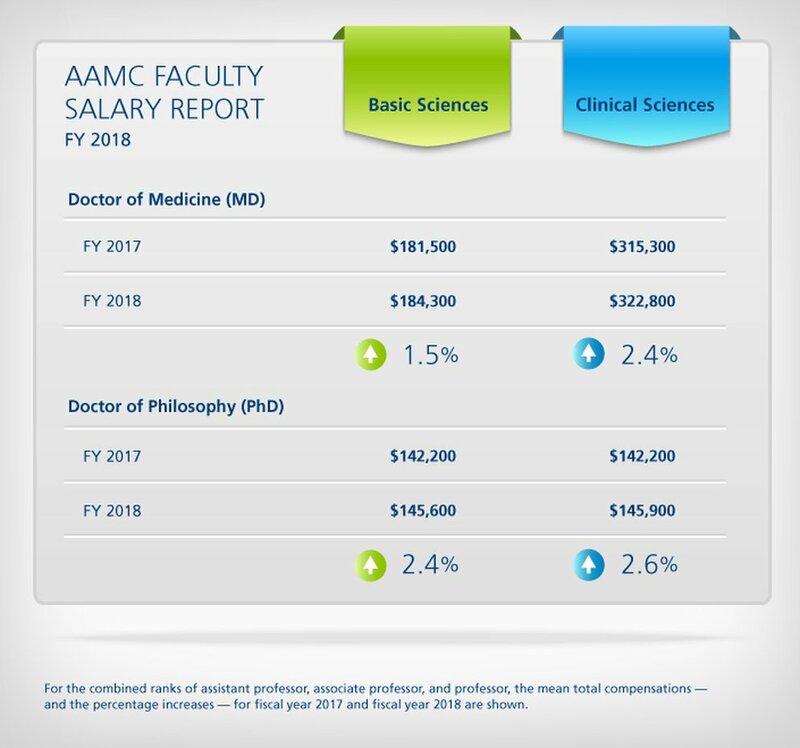 The AAMC Faculty Salary Report, FY 2018 includes much more detailed salary information, including mean compensation by type of medical school and region for each combination of six faculty ranks and 92 specialties. Total compensation included fixed salary plus supplemental earnings, which includes medical practice earnings, bonus pay, and outside earnings such as speaking engagements and consulting fees. Online access to the report is available to individuals at member institutions for an annual subscription fee of $40 per year and to nonmember institutions for $1,125 per year through the AAMC Store. The printed edition will be available for purchase in early 2019. The print edition will include the most recent year of compensation data, while the online version includes three years of salary data. What specialties do doctors choose?